I had the good fortune to be invited to the girliest luncheon Friday at the Lucky FABB conference. The good folks at Barbie invited a select group of bloggers to celebrate the history and cultural influence of the iconic Barbie Doll. Fashion-wise, they have collaborated with many of the top labels and brands throughout the decades, like Coach (Barbie's first true leather bag!) and my favorite, Byron Lars. They even produced an epic Barbie fashion show in Bryant Park for their 50th anniversary. Our video producer Mdivani collected vintage dolls that actually had true rabbit fur collars from the 1960's. The brand representatives are perfectly aware that people either love or hate the doll, and embrace all conversations, positive or otherwise. 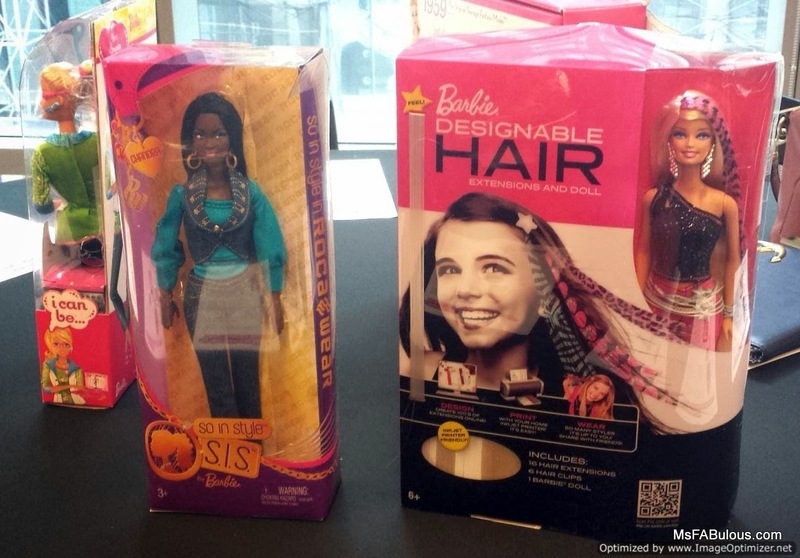 They understand that as a cultural icon, Barbie can become a touch point in discussions of any sort. However, they do strive to be relevant at all times, something I do believe they succeed at. Among the bloggers themselves, we noted that at certain times as parents and daughters, we occasionally pondered the body image that Barbie represented or whether or not it was taking girls backward. A more seasoned blogger noted that in 1960’s, career preparation in schools was limited to home economics for girls, while Barbie was shown as a character who was an astronaut, nurse, vet, pilot, performer and police officer among others. Another blogger noted that while she herself coveted the clothes and accessories the doll could have, it never occurred to her that Barbie’s blue-eyed blonde proportions was something she needed to strive toward and did not have a negative self-body image as a result. Many of my designer friends made their very first fashion outfit for a Barbie doll. Historical dolls throughout the years were represented on the tables, from classic Hollywood icons like Scarlett O’Hara to modern warriors like Hunger Games’ Katniss Everdeen. Pop-culture influenced fashion dolls with Hip-Hop styling or tattooed dolls were produced. While a diverse range of cultures and ethnicities are produced, surprisingly, it is the foreign countries that insist on the original blonde model and refuse to buy anything else. The representative gave an example of how the media could use Barbie as a point of discussion in the most surprising ways. Many of their dolls had passports included in their accessories pack. It was meant to represent their jet setting worldly lifestyle. However, the company came under fire for their Latin doll having a passport as the media wanted to frame it as a disparaging political statement about immigrants. 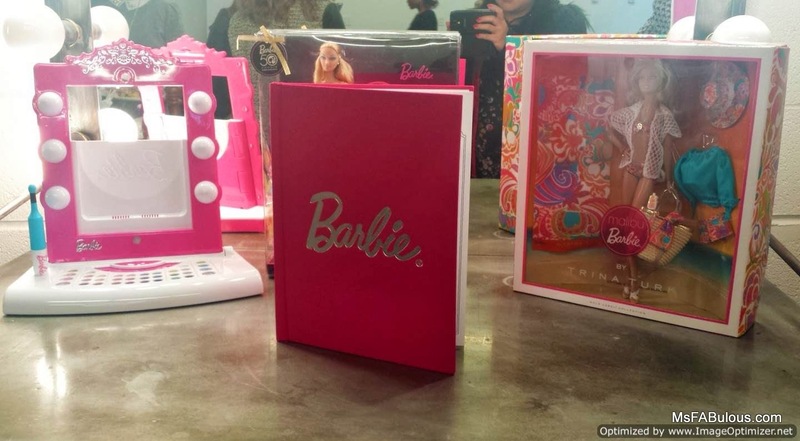 Barbie in the digital age? The company had a vote on what career she would take on next and the vote was overwhelmingly in favor of computer engineer. 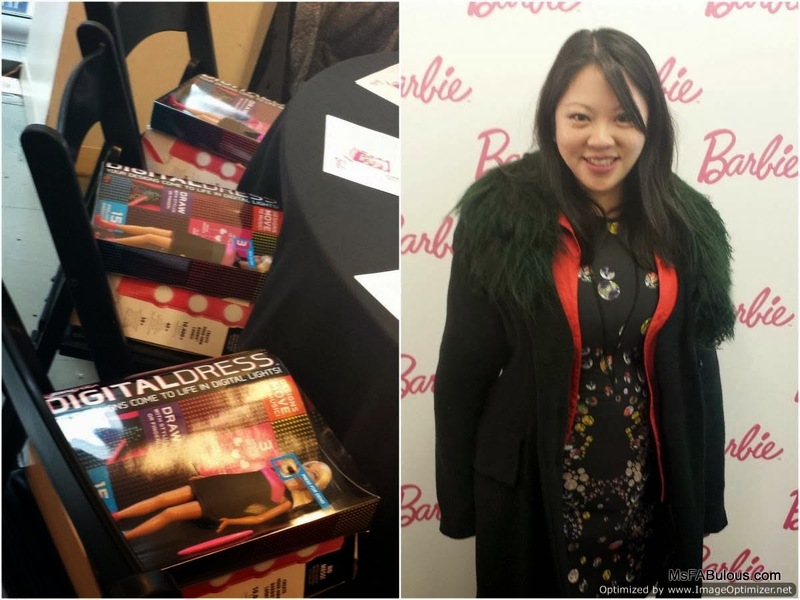 Each of us received a fantastic new Barbie edition that had a multi-color digital dress that you could design and set to music. We also received a digital makeover set that would transform your iPad into a virtual cosmetics station. The squealing from a room of grown women proved that you never outgrow playtime. What are your Barbie memories? Is she a relevant icon or just a plaything?